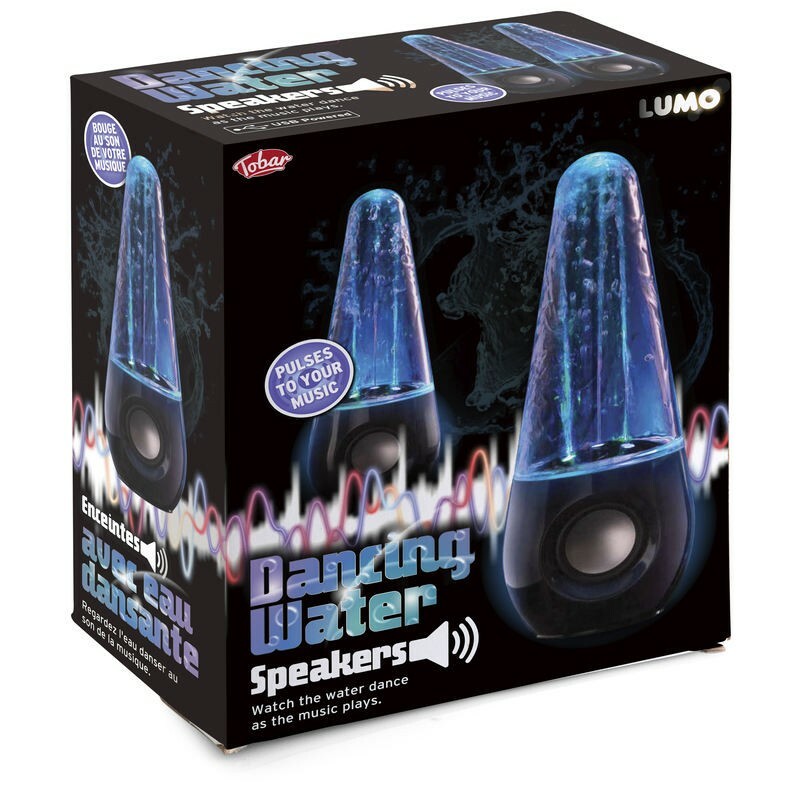 Water Dancing Speakers that shoot jets of water inside enclosed domes to accompany music. 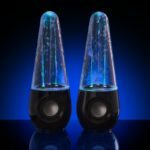 Pair of speakers with built-in light and water fountains that activate in time to music. Connect a media device such as a smartphone or mp3 player to the speakers using the aux cable included and then play music through them. 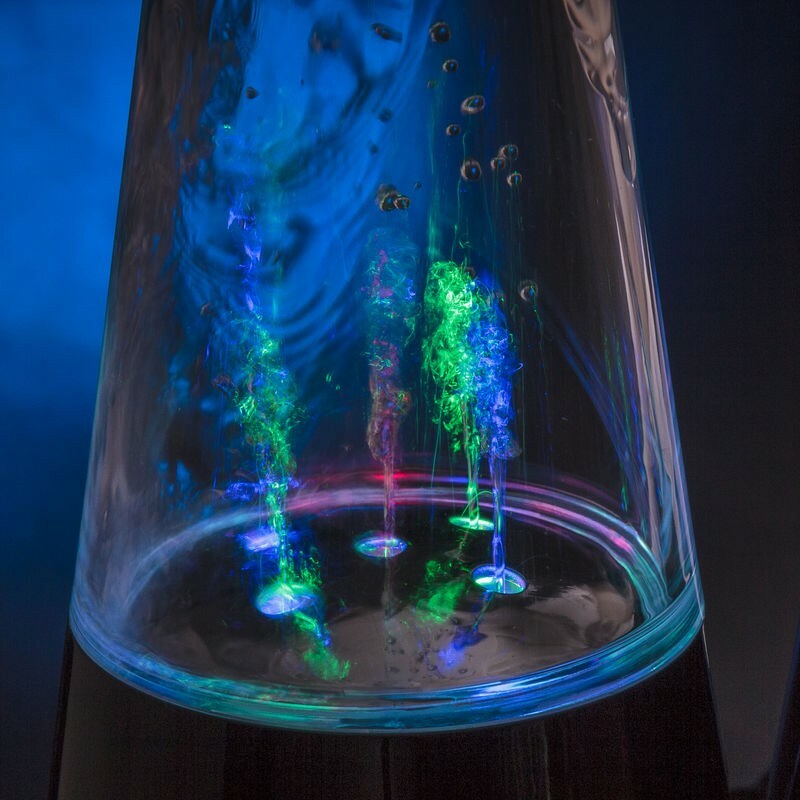 As the music starts to play, small jets of water will shoot up and dance around each enclosed dome, putting on a cool display that’s accompanied by subtle LED mood lighting. Speakers 22.5cm tall.